Beginning in February 1996 I was unable to stand straight, was in EXTREME pain in my back and right leg and taking prescription narcotics to try to manage pain. I had an MRI whereby I was told I had a ruptured L5/S1. I tried injections which provided no relief. I had 2 doctors tell me the only way I would ever get better was through surgery. I read your book, “Healing Back Pain” and finally saw you in September. You diagnosed me with TMS. I attended the group sessions and also went to a psychologist (Dr. Sherman) who specializes in TMS. On December 16, 1996 I was finally pain free, standing upright and off the pain medication. 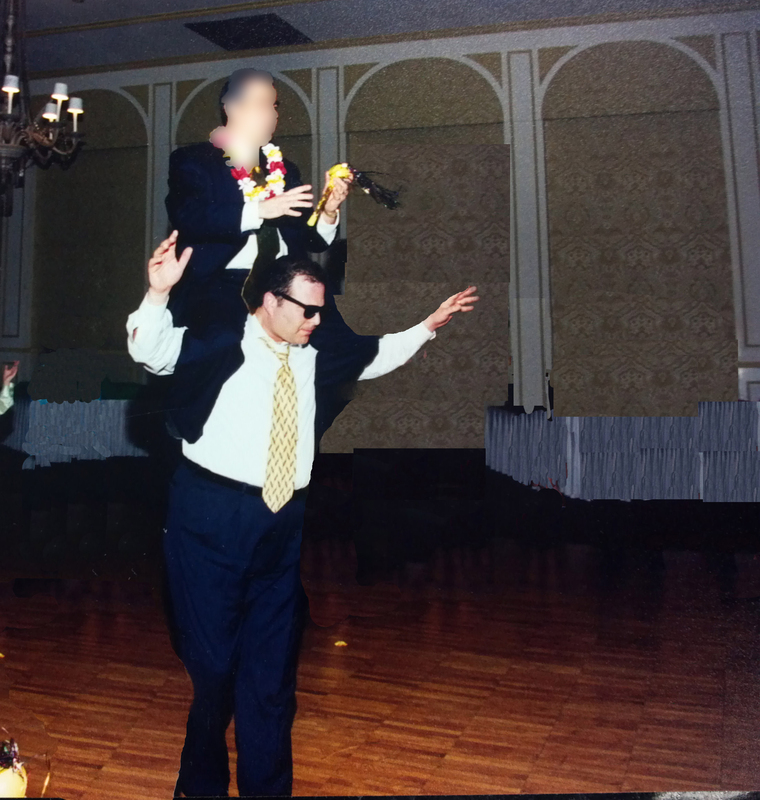 The picture I have sent was taken in February 1997 (I am on the bottom). I had a recurrence in 1999 that lasted for about 6 months. I was pain free for about 9 years when in 2008 I had a recurrence. I went to a pain management specialist, as you were out of town and I wanted medication to try to relieve the pain. I told him I will be his worst patient as I only need pain medication to help get me through the next 3 weeks as I was going to be traveling allot and I believed my pain was mentally not physically induced. As part of his condition to prescribe me medication I had to agree to get an MRI. With my schedule it took about 6 weeks for me to get the MRI and by then I was 95% better. After reading the results of the MRI my doctor told me that not only do I have a problem with my L5/S1 but I have a problem with my L4 and I have arthritis. I asked him what he recommended and he said bed rest, physical therapy and to continue with the medication he prescribed. I told him I was basically pain free and I asked him how he can explain that. He told me he could not. I have been pain free since then. Dr. Sarno, thank you for helping me avoid unnecessary and potentially damaging surgery and for helping me become a mentally stronger and together person. You are truly a special person and I wish you and your family good health and only the best life has to offer. I can’t thank you enough for your discovery of TMS. I just discovered your book 11 days ago and it has already been a godsend. I am 30 years old and have been suffering from various symptoms of TMS like difficulty sitting for more than 30 mins, constricting neck pain, knee pain preventing me from walking more than 100 m, tingling in various parts of my legs and arms, spasm in my pereneum. I spent the last year lying in my bed due to pain and I was losing hope after having seen so many back specialists, physical therapists, and a good acupuncture doctor who thankfully helped w my neck but could do nothing about the other issues. I could hardly hold my job, couldn’t date, couldn’t see friends without being anxious about hurting myself and couldn’t think about exercising because every time I did I would somehow injure myself in a different area of my body. I felt like God was punishing me for something, to be honest because it has been one pain after the other with no end in sight. I can’t thank you enough. Wish you all the happiness in the world.